Promoter GDP just announced today that Slash will open both AC/DC shows in Nice on June 15 and Paris on June 18. There are still tickets available for the Nice concert, and more tickets have just been placed on sale for Paris. 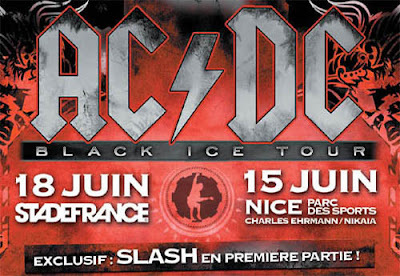 Slash will also play Hellfest in Clisson, France on June 19 and The Bataclan in Paris on June 20.